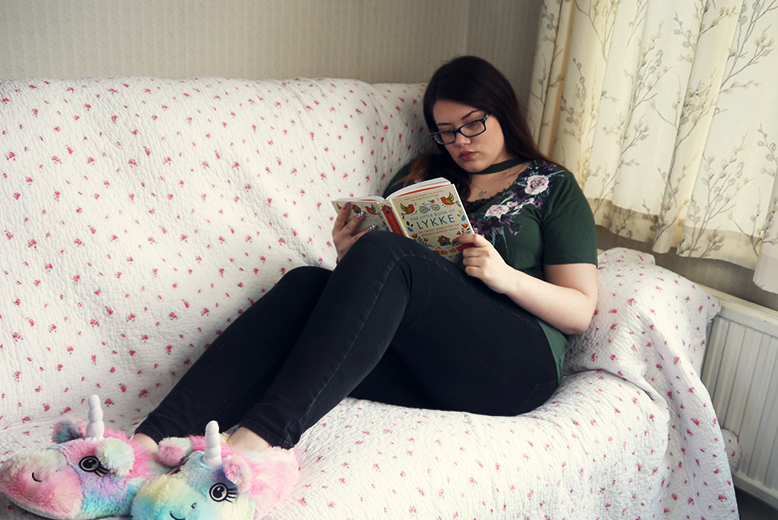 First skincare review of 2016! 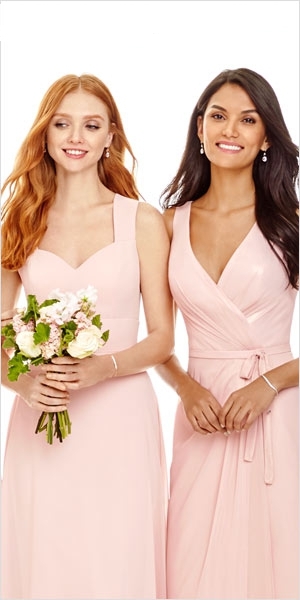 Say hello to Odacité pure elements. 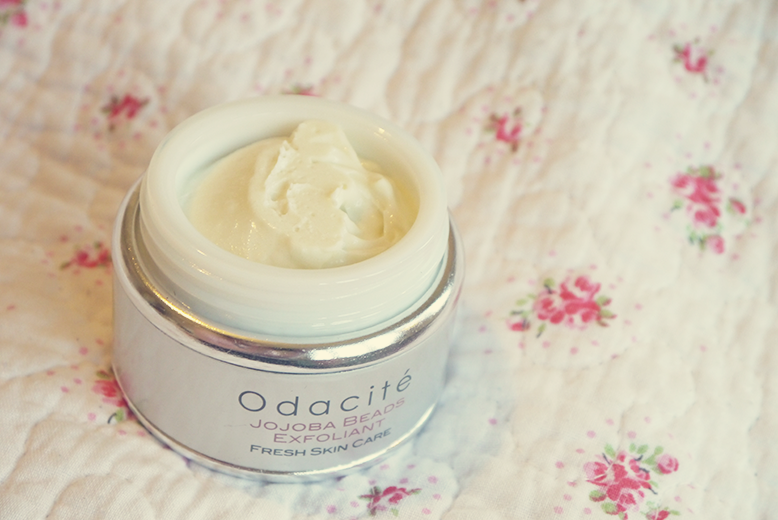 "Odacité was born in 2009; a collection of pure plant 'Serum Concentrates', rich in skin-essential nutrients to correct the multitude of common skin concerns, using concentrated oils that workwith cells to re-establish equilibrium. 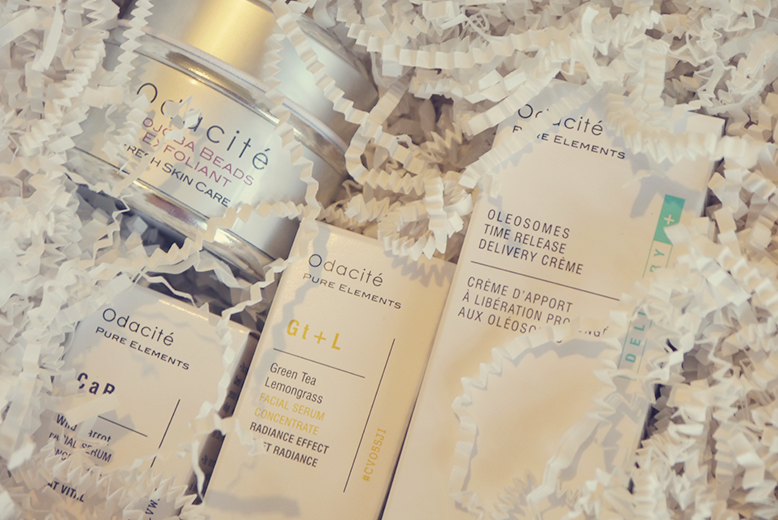 Rejuvenating, fortifying, protective and vitality-boosting, Odacité enables you to find your perfect formula for faultless skin, and become your own at-home skin alchemist… Enjoy!" 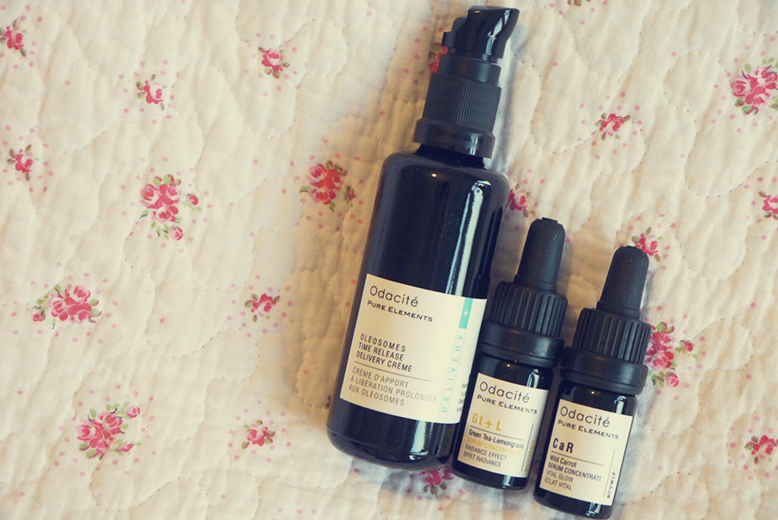 I received four items of Odacité products and I could not wait to start testing them. I've used these for three weeks now so I feel I am able to give a full review! The first product is the Oleosomes Time Release Delivery Créme. This is a thick moisturiser that has a very subtle lavender scent. You can use this as a day or night moisturiser which makes it the perfect travel product to minimise products you take with you (I am an over packer..) It claims to deliver hydration all day and I can say that because of the thickness of the cream it really does keep your skin hydrated and plump throughput the day. I have quite dry skin, especially in this cold weather and my skin suffers but this moisturiser is great at keeping my face smooth and calm and it even stops my concealer getting dry and patchy through out the day. The second product I have here is the Green Tea + Lemongrass Radiance Effect Serum. Made to tighten, and refine dull sluggish skin I use this twice a week at night time after my cleaning and toning routine to help calm my skin, lighten my hyper pigmentation and it just makes my skin feel so healthy when I wake up. It's a concentrated formula so you only need one or two drops to cover your whole face. I am a huge fan of this. Then we have the Wild Carrot Vital Glow Serum which is another concentrated serum with vitamins A, C & E. It doesn't smell of carrots but has a soft fresh smell that dissapears after you rub in a few drops. This pure and potent Wild Carrot seed oil is hand pressed in a small French village and enhanced with Vitamin E oil, creating the purest and most effective serum to smooth and firm your skin. Admittedly I don't use this as much as the Green Tea serum but I have used it a handful of times and don't see a wild difference in results from the other one, I just happen to perfer the scent of the Green Tea serum more. 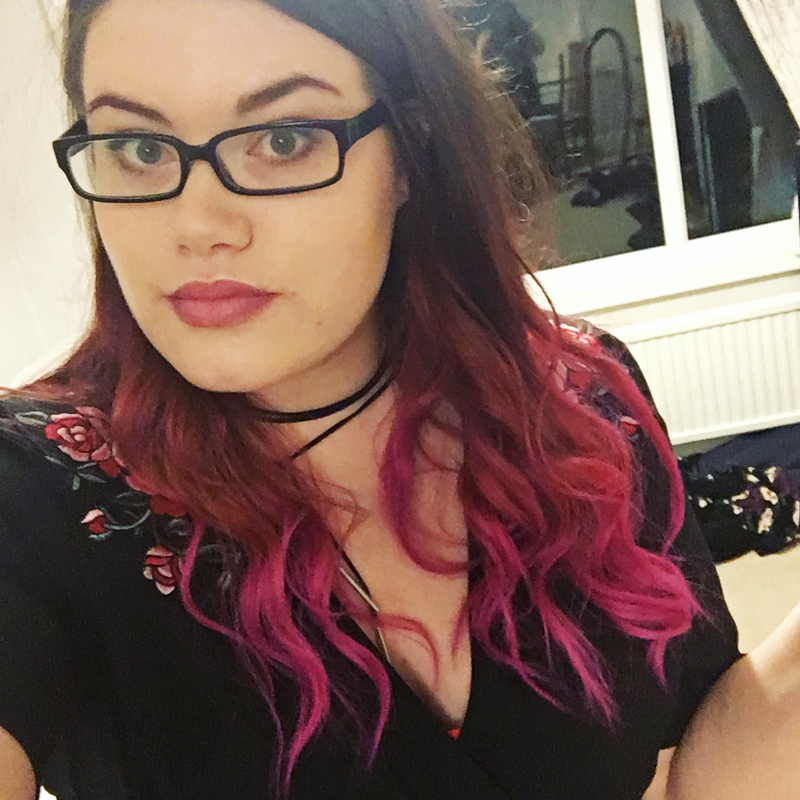 This bad boy is my ultimate favourite of the four products! I have been using this almost nightly for four weeks now and have fallen head over heels for this pot of joy. 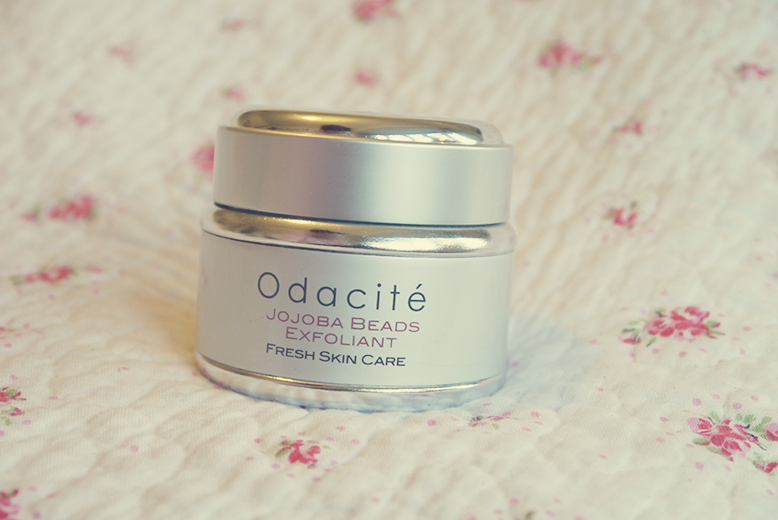 This is the Jojoba Exfoliant which is as the name suggests an exfoliant, the beads are so tiny that you can hardly feel them but they work on the skin magically for a super smooth face that makes the skincare I use afterwards work a dream. You need to have wet your face before using otherwise it will just fall off into the sink but I love the smell, texture and results. I have noticed that the pores on my chin and around my nose are less noticeable and I definitely think that is down to this guy. Five thumbs up from me!